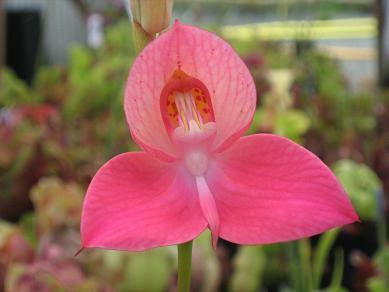 A tall growing hybrid that flowered at the end of the Disa season last year. 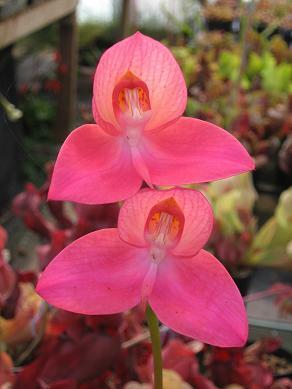 Hybrids are now being raised for the cut flower market with long stems and flowers that all open together. They aren't yet having much impact in the UK, but it is big business in South Africa and bound to increase in Europe. 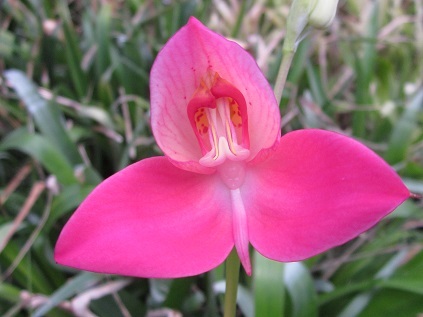 Disa uniflora x D. Diorosa. 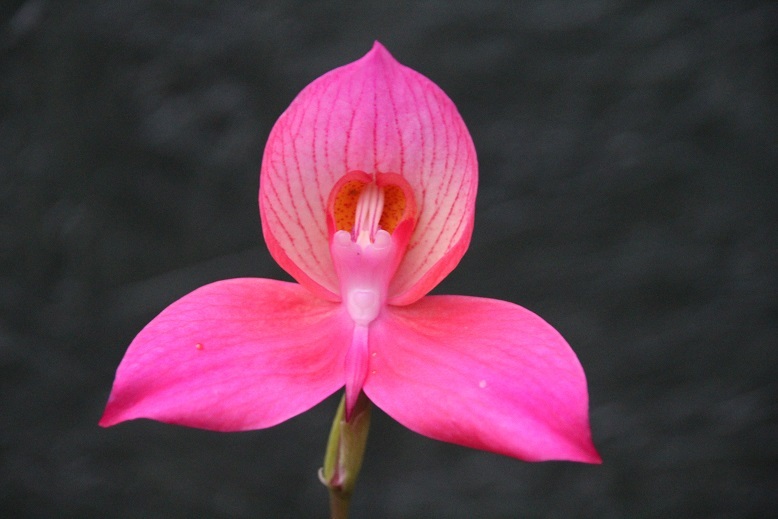 A hybrid that has returned a couple of times to D.racemosa for inspiration which could produce a string of flowers on an upright stem but in this case the only sign that shows is the slightly more 'triangular' outline to the flowers.